"Besides having my sons Brian, Taylor, and Aaron in the business with me, I am fortunate to be surrounded by some of the best piano people to be found anywhere in the entire piano industry...marketing, sales, technical, refinishing, restoration, touch-up, and piano moving professionals...who all share my passion for fine pianos. 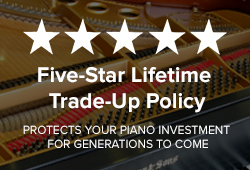 Collectively, they represent well over 150 years of experience with five-star rated pianos from American, European, and Asian piano makers," says Maurice R. Unis, president and owner of Classic Pianos. Maurice has lead his team of nationally-recognized associates to bring home the Top Dealer Award from every piano manufacturer Classic Pianos represents. Moe’s reputation for sales, service, and community involvement, backed by his original Classic Pianos Five-star Lifetime Trade-up Policy, has been recognized throughout the Pacific Northwest, the United States and Canada, and by the world’s top-tier piano manufacturers. Click History for the whole story. Ben has had a lifelong career with the piano. Most recently, before joining the management team of Classic Pianos, he was General Manager of Sherman Clay in downtown Seattle. Prior to that he worked for two other major piano companies in Boston, where he began his career in piano sales in 1996. He began studying piano at the age of four, and his early passion for music eventually led him to study at the famous Berklee College of Music in Boston. After graduating from Berklee, he went on to perform and teach professionally for several years before transitioning into piano retail. Klinger has been active as a public speaker and has been featured in several piano-industry trade magazines and various newspapers. In 2012 he published Why We Play: a Guide to Finding the Right Piano; and, in 2014, he helped launch Seattle’s Pianos in the Parks. 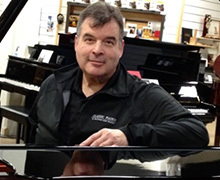 John moved to the Pacific Northwest from Houston, Texas (where he was shop manager for the Steinway dealer) to become Director of Technical Services for Classic Pianos, LLC. He appren-ticed with concert piano tuner Dean Shank at Rice University — including technical sessions with Steinway’s guru, Franz Mohr, tuner / technician to the world’s greatest pianists. John has tuned for the Houston Symphony, Houston Grand Opera, Rice University, Texas A & M, as well as the lead-ing orchestras and chamber music societies in the west. 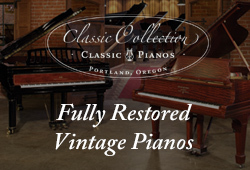 Experienced in classic piano restoration, John works closely with clients seeking one-of-a-kind vintage Steinway & Sons instruments that are part of the Classic Collection at Classic Pianos. 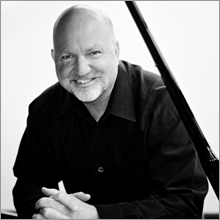 John has become a premier concert tuner in the Pacific Northwest, and has garnered praise from America’s leading concert pianists — classi-cal and jazz artists on tour playing Bösendorfer and Yamaha premium concert grands. Slavick spent two weeks working as an advanced technician at the revered Bösendorfer factory in Vienna, earning its highest commendation. He also serves the Yamaha Corporation of America as a con-sultant, master voicer, and concert tuner. His depth of technical experience makes him a favorite "go-to guy" for both beginning and advanced pianists. See artist and customer testimonials. John’s low-key, Texan style puts clients at ease upon first impression. He invites pianists and pro-spective customers to bring their music and try several different pianos. Haidi Yang has been an integral part of the Classic Pianos team since 2012. Her language and people skills, along with her sales and administrative talents, have been vital to our success. Haidi grew up in Chengdu, China. 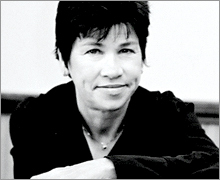 She began studying piano at age seven, and continued her piano studies into college. She graduated with a Bachelor's degree in Business Administration from the University of Northern British Columbia; and, after careers in the banking and real estate fields, entered the piano industry with Classic Pianos. Haidi is fluent in Mandarin and English, and is able to relate easily to our diverse client base. In addition to her work with Classic Pianos, she has an active family life with her husband and two boys. Cathy Traylor minored in music at Miami of Ohio and later played piano for Civic Theater and Storefront Theater productions in Portland. She started working with Maurice Unis at the original Moe’s Pianos in charge of event rentals and master classes. After joining Sherman Clay / Moe’s, following Sherman & Clay’s 1989 acquisition of Moe’s Pianos, Cathy rejoined Maurice again in 1995 at Forte Marketing Group where she organized event sales nationwide. Now married to Maurice, Ms. Traylor continues to give input regarding Classic Pianos public relations, advertising, and marketing activities — including program advertising for the Oregon and Seattle Symphony orchestras; Oregon Public Broadcasting; Chamber Music Northwest; Seattle’s Gallery Concerts, Portland Piano International; Seattle Piano International; Oregon Ballet Theatre; Portland Center for the Performing Arts; The Old Church Concert Series; and newspaper advertising for sales and university events. 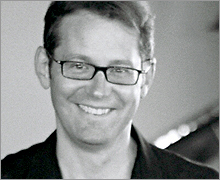 Steve Sloan was raised on a farm in Woodinville and began his study of the piano at age 8. Steve graduated from Redmond High School, and then majored in English and at Willamette University in Salem, OR. He also holds a Master’s degree in English Literature from Middlebury College in Vermont. 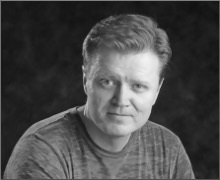 Steve has over 30 years of experience in the piano business, and has received many awards and recognitions from numerous piano companies including Baldwin, Kawai, Steinway and Yamaha. 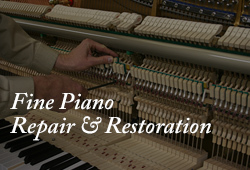 Steve’s specialty at Classic Piano has been in the digital and player piano departments. Yamaha’s famous ability to blend traditional instrument building with high-tech musical engineering makes Steve’s job a lot of fun and allows for plenty of creativity. 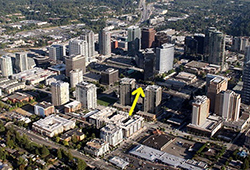 For the last 23 years Steve has lived right here in Bellevue with his 2 daughters. Please stop in to say hi to Steve and ask him to show you Yamaha’s new line of Hybrid and Trans-Acoustic pianos! See Piano Rentals. Jim majored in Liberal Arts at the University of Oregon and studied piano with Dr. John Hamilton, a protégé of keyboard icon Wanda Landowska. Jim has played piano since age five and has been featured on BBC Radio. He holds a Certificate in Keyboard Skills from the highly-respected Berklee College of Music, Boston. Jim has been in the music industry since college, having his first “big job” at the 1962 Seattle World’s Fair as a representative for the Lowrey Corporation. 1962-1966 he worked in retail sales for Collins & Irwin Piano Co. and G.F. Johnson Music Co., both in Portland, then joined Rodgers Organ Company of Hillsboro, Oregon in 1967. Walls served under CBS, Inc., New York, and Steinway Musical Properties, Inc., Boston ownerships as vice- president of marketing for over 15 years. In 1974 he was a key executive in negotiating the five-manual Rodgers organ for Carnegie Hall. 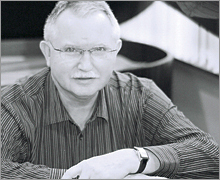 Now “semi-retired,” he serves as Director of Marketing for Classic Pianos. Additionally, he teaches piano and plays corporate and private events. 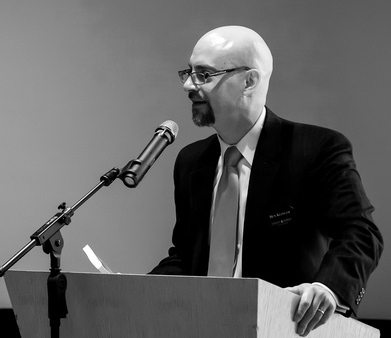 Walls is a member of Music Teachers National Association (MTNA) and active in several state music chapters. Chris is a recording studio specialist. He studied music theory at the University of Michigan and creative composition from concert pianist/recording artist William Bolcom. While living in New York City, Chris trained in audio engineering under David Ruffo and assisted on many live remote jazz recordings at famous Manhattan venues including: Birdland, The Village Vanguard, Blue Note, Jazz Standard, and Symphony Space. Prior to joining Classic Pianos, after moving to the Pacific Northwest from Berkeley, California, Chris worked with Maurice Unis's Forte Marketing Group ― a national sales and marketing organization that organizes university, institutional, and special fund-raising events coast-to-coast. Currently, Chris maintains the Website for Classic Pianos of Washington and has extensive sales and technical experience in both acoustic and digital Yamaha pianos, including Disklavier and Yamaha’s latest “hybrid” AvantGrand. Owning a small music production studio, Chris is well-versed in the art of audio and MIDI recording—interfacing computers with acoustic, digital, and hybrid pianos.